Richard Youens’ decision to give up an interesting job in the wine trade to work in insurance might have seemed a recipe for a safe but boring career. It proved otherwise. Life for Youens had never been dull, but it suddenly became a lot more colourful when he joined a firm which specialised in film insurance. His work took him around the world, from Switzerland to Singapore, involved him in multi-million-dollar claims and bringing him into contact with an array of Hollywood stars, including Sophia Loren, David Niven, Peter O’Toole, Marlon Brando, Martin Sheen and Richard Harris, as well as directors such as Bernardo Bertolucci, Francis Coppola and Stanley Donen. 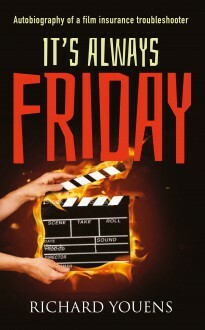 It’s Always Friday is a light-hearted account of his adventures before, during and after his career in film insurance.